Yesterday, I attended a space-themed birthday party. 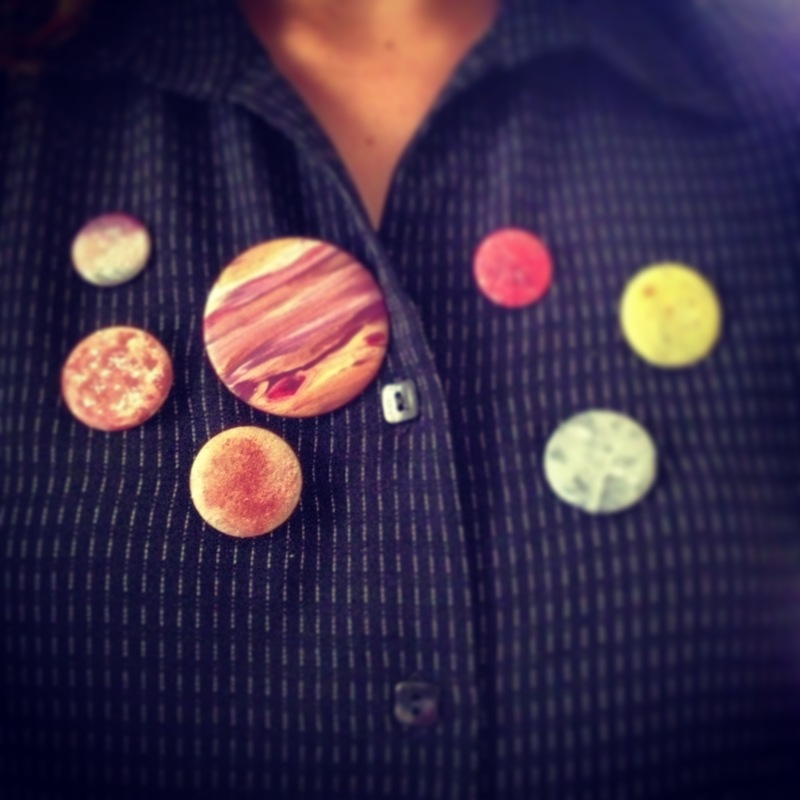 I wanted something nice to wear, so I got some buttons from a thrift store and painted over them with acrylic. Here’s Jupiter and six of its moons. Jupiter is the big one with stripes and the red dot (it’s totally a storm). The top left one is Chaldene, practically an orbitting rock. The mid-left one is Callisto, a party-moon to be sure. Just look how festive it is with all of them whitish craters. Europa, is the one to the right of it. I remember its name because I imagined a woman going to Europe and coming back with a tan. Amalthea is the cute red one. Very easy to paint. Io is one crazy green sister. And last but not least, Ganymede, the grey.